Vue.js Swipe Component. - Vue.js Feed Vue.js Swipe Component. Use this Vue Swipe Component to create sliders following a simple pattern. 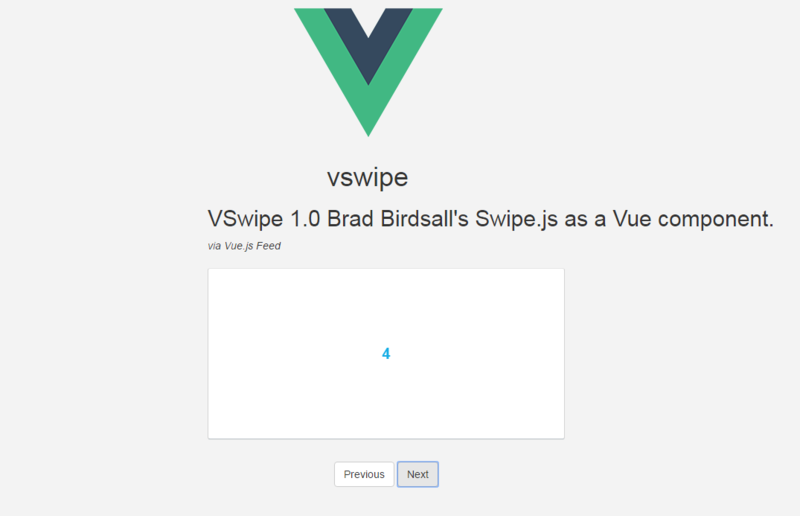 Brad Birdsall's Swipe.js as a Vue component. if you include vswipe.js by a <script> tag, you can use it directly.